When I was 14, I went to Denmark on a summer exchange. Between bouts of hiking, touring, and reckless teenage drinking, my friends and I were cut off from the English-speaking world. It was 1990, in the dark ages before the Internet, when transatlantic phone calls cost around a dollar a minute, and the only way to mail your friends was to stick a stamp on a letter and hope it arrived home before you did. There was no Guardian Unlimited or New York Times online to keep you appraised of the world—the best you could get was a two-day-old USA Today, which is how I found out about the Oka Crisis, three weeks after my friends. Now I long for those days. During our last week in Ireland, my phone has been exploding with tweets, Facebook status updates and news alerts from five different apps. I can’t do anything for more than a minute without being reminded that Kommandant Trumpolini is burning the world down, while my friends share the most recent outrages with each other. From Belfast, where we had a long tour of what happens when you plunge headfirst into religious hatred, we took the bus to Dublin. The border between Northern Ireland and the Republic of Ireland is basically non-existent. There is a border on the map, but the only way you can tell you’ve crossed over is the speed signs switch from miles to kilometres. This may all change after Brexit, but for now, it’s great. My whole life I’ve wanted to visit Ireland. When I was a kid there was a Celtic music revival in Canada, and it seemed like you couldn’t go into a bar without hearing a jam of “diddle-dee, diddle-dee” coming from the corner. I am one of those rare white creatures who is not Irish, not even a little, but I became infatuated with the idea of visiting Ireland from these trips to the pub. It did not disappoint, except in the costs department, where it has disappointed greatly. The most expensive pints in Europe so far have been in Dublin, and I wondered how long it would be before Jo and I joined the long line of beggars on O’Connell Street, shaking paper cups for our next fix. 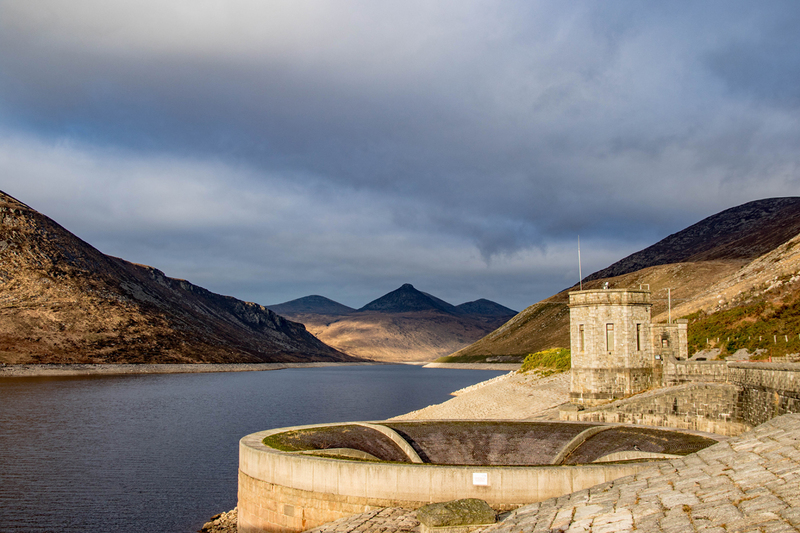 Silent Valley Mountain Park, Ireland. Dublin is so expensive that we have finally joined Airbnb. For years I had avoided the room-renting app because of how the movement has driven up local rent costs around the world, but when the cheapest hostel room you can find on the weekend is $135 with an outside bathroom, you start to care less about the problems of the local rental market. So around Ireland we’ve been staying in a series of homes. In Dublin, it was yappy dogs that shat on the floor. In Cork it was a kindly Irishwoman who treated us like her long-absent children. In Galway it was a dude who was happy to sell us beer out the fridge, so long as we sat with him in the living room and listened to the entirety of Lady Gaga’s new album. But getting back to the good part—Ireland certainly is stunning and needs to be seen by all. A friend drove us out to the Cliffs of Moher in far west County Clare, the cliffs carved out by the ocean for millions of years. It looks like a layer cake of sediment, each geological age marked in different coloured rock. 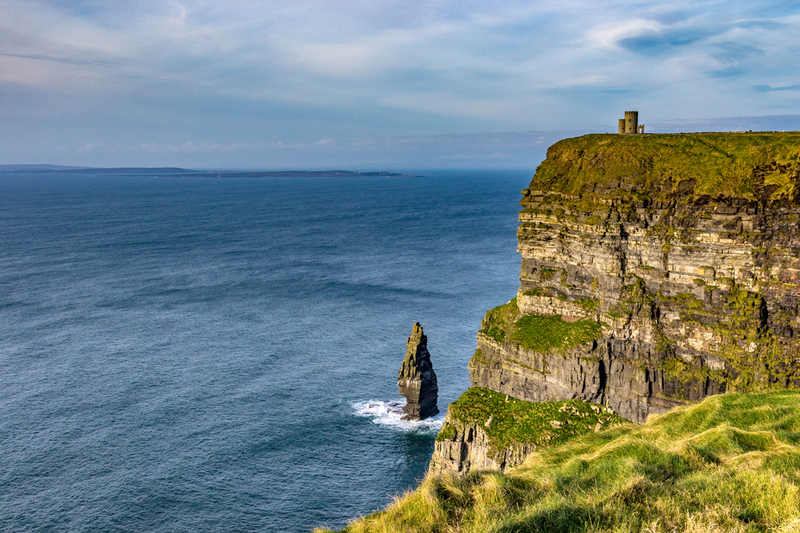 The Cliffs of Moher in County Clare. This being Ireland, there are also churches everywhere, though the most awesome cathedrals aren’t Catholic but rather Church of Ireland, the local Anglican denomination. I’m told it’s a leftover from Oliver Cromwell’s 17th-century sack of the island, where he turned all the disloyal Roman Catholic churches into loyal Protestant ones. 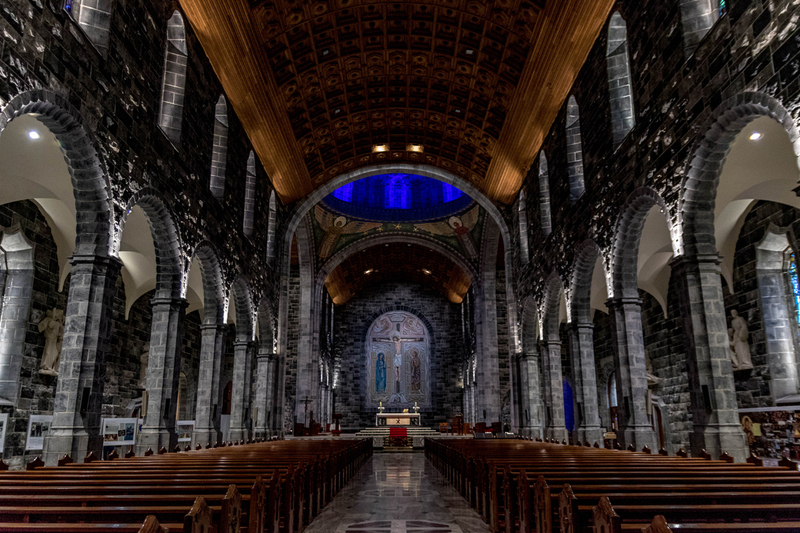 For heathens like me, they’re all dramatically beautiful though, even the Galway Cathedral of Our Lady Assumed into Heaven and St. Nicholas, which was only built in 1965, when cathedrals were in steep decline elsewhere in the world. It’s majestic like the others, but it’s less majestic when you realize it was built with a crane rather than rickety wooden ladders. Galway’s Cathedral of Our Lady Assumed into Heaven and St Nicholas—looks ancient, really only 50 years old. 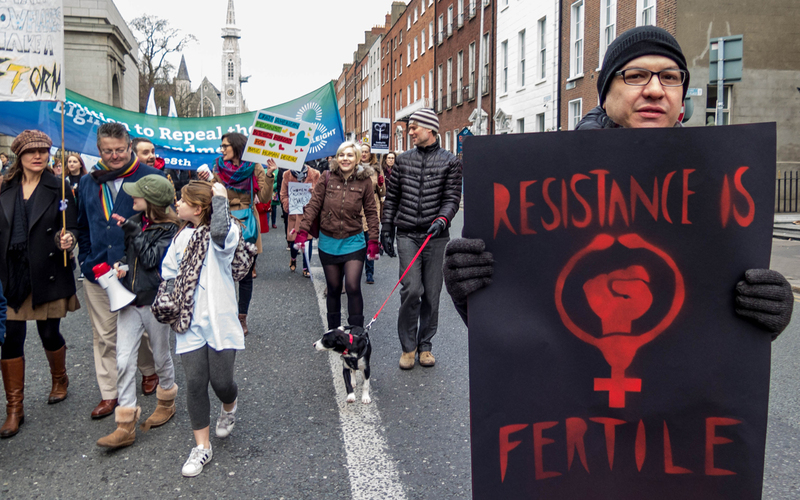 Fifty-some years later, to say the church is unpopular with Ireland’s young is a bit of an understatement—most young Irish we’ve met loathe it and won’t be caught dead inside a functioning church. Graffiti in Belfast, Northern Ireland. 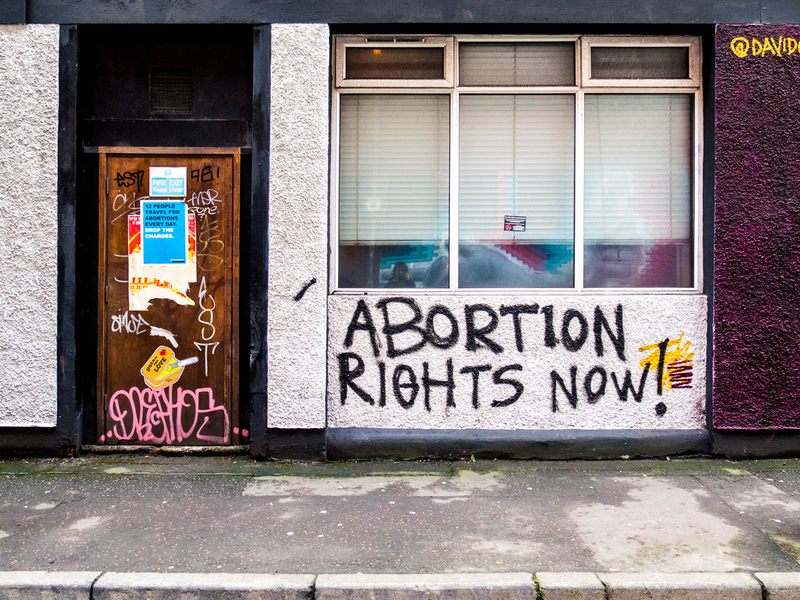 “The eighth” refers to the eighth amendment of the Irish constitution, which bans abortion in all cases, except when the mother’s health is in immediate threat. That’s right, Irish women are expected to bear their rapists’ babies. It was a beautiful march on a beautiful day. This is why, even when it annoys me, I don’t shut off my constantly buzzing phone. If I did, I would miss days like this, when you can remind yourself that no matter where you are, people are still standing up against bullying and hatred.